Increasingly challenging global and environmental requirements have resulted in agricultural systems coming under increasing pressure to enhance their resilience capabilities in order to respond to the abrupt changes in resource quality, quantity and availability, especially during unexpected environmental circumstances, such as uncertain weather, pests and diseases, volatile market conditions and commodity prices. Therefore, integrated solutions are necessary to support the whole food agricultural life-cycle value chain. RUC-APS provides knowledge of the full agricultural life-cycle based-decision making process to realise the key impacts of every stage of the agriculture-related processes. 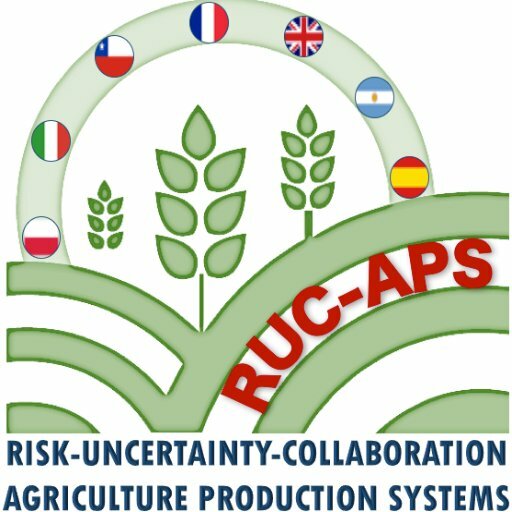 Therefore, RUC-APS implies the development of a high impact research project in order to integrate real-life based agriculture requirements, alternative land management scenarios, unexpected weather and environmental conditions as well as supporting innovation in the development of agriculture production systems, operations, logistics and supply chain management and the impact of these systems and processes over the end-users and customers. This is to be conceived through the integration of standard and customised solutions for facilitating the collaborative engagement within the agriculture value chain.